StartUp is a 60 minute scripted thriller television series, which kicked off on September 6, 2016, on Crackle and is broadcast every Thursday at . The show is currently in its 3th season. The series explores what happens when a brilliant, yet controversial tech idea gets incubated on the wrong side of the tracks by three strangers who don't necessarily fit the mold of "tech entrepreneurs." Set amongst the unconstrained, yet opportunist streets of Miami, StartUp weaves a complex and exciting narrative, featuring the high-stakes struggle of what one will do to reach ultimate success. 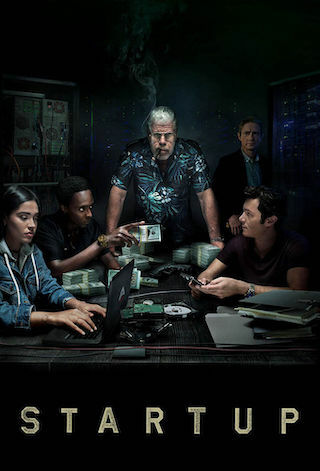 Forced to fund a tech company with dirty money from unsuspecting places while forming ties with a dangerous, Haitian gang, the fight to build a business pales in comparison to the fight to stay alive, especially when there's a vehement FBI agent who wields the power to make or break those he comes in contact withand not always for the right reasons.